Designed as a sophisticated urban oasis, Hotel Giraffe is a luxury hotel offering timeless style and spacious accommodation. 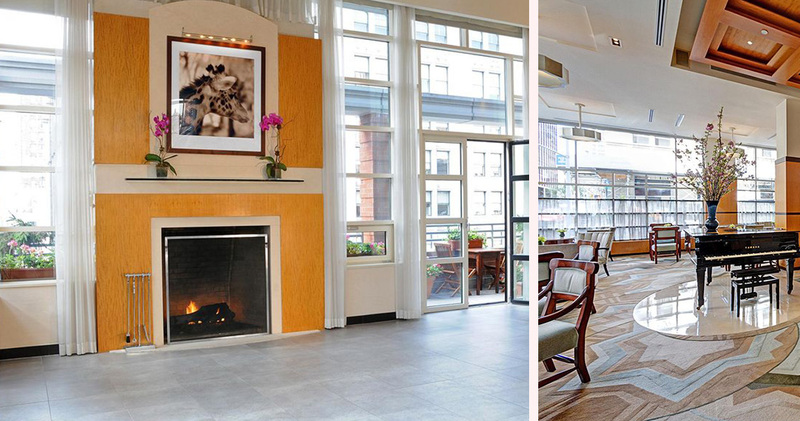 Hotel Giraffe is located in NoMad, within close proximity of the attractions, restaurants and shopping destinations of Manhattan. 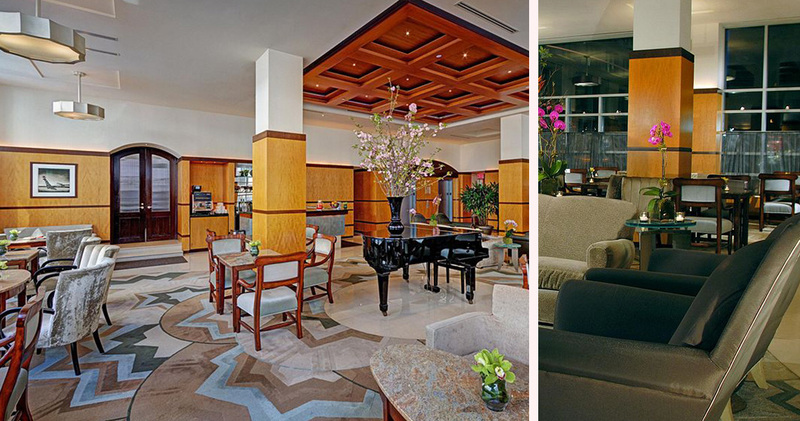 The design and architecture of the hotel is inspired by the neighborhood’s Art Modern Period. 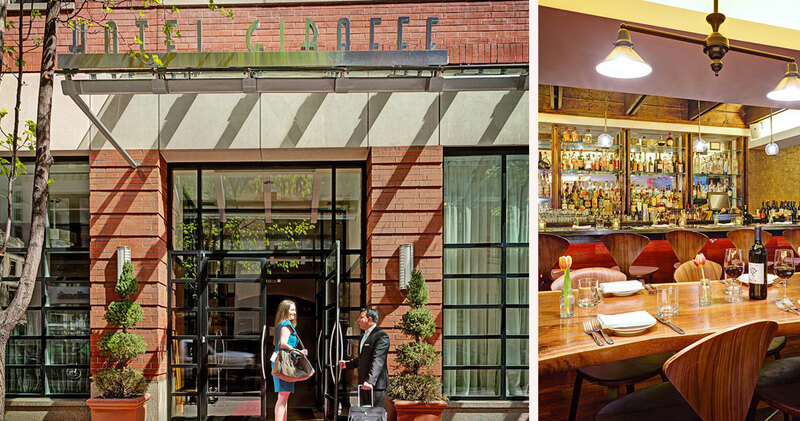 With bright, open spaces and simple but elegant décor, Giraffe Hotel NYC evokes a sense of timeless grace. 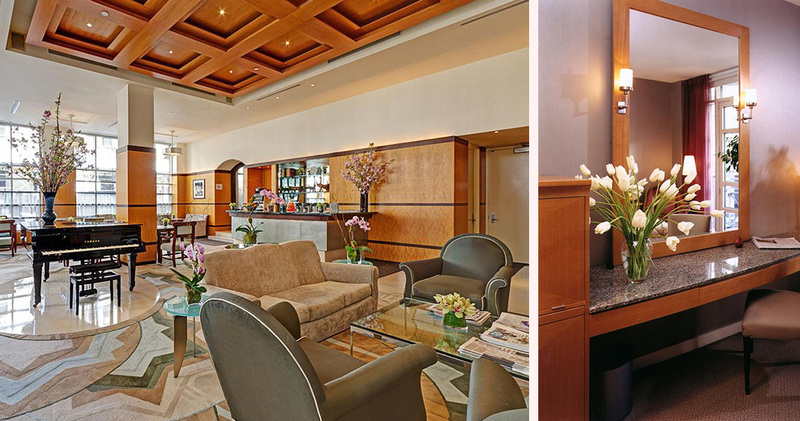 Amidst the soothing tones and plush seating of the Grand Lobby, guests can enjoy complimentary fresh fruits, homemade cookies and other refreshments around the clock. 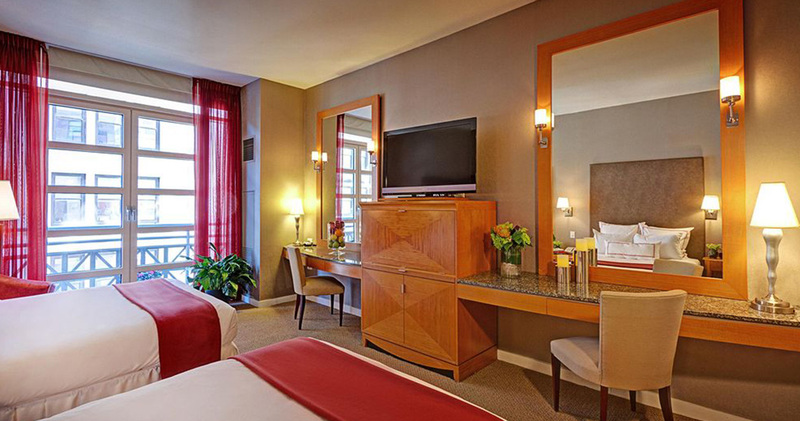 During the wine reception each evening, the hotel serves hors-d’oeuvres and a selection of fine wines. 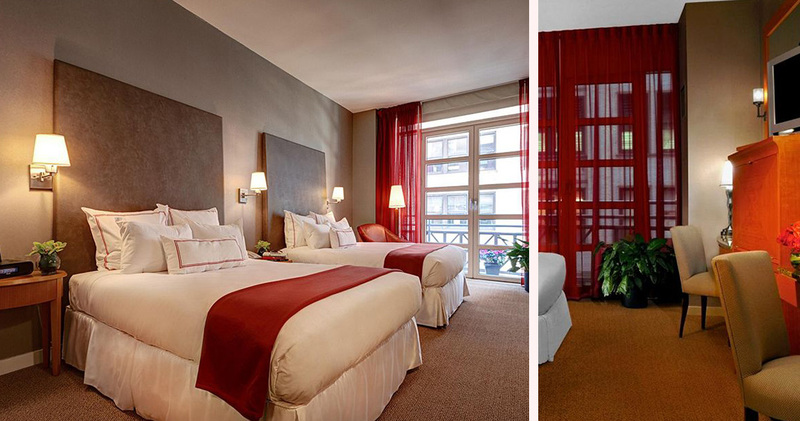 The guestrooms at Hotel Giraffe NYC were designed with both glamour and comfort in mind. With features such as pearlized platinum wall coverings, leather headboards, antique-rose velvet upholstered chairs and 10-foot ceilings, the guest rooms are the epitome of sophistication. The walls are adorned with original black and white photographs from the 1920s and 1930s and, for added comfort, Hotel Giraffe also provides contemporary, chic linens, waffle weave guest slippers and 100% Egyptian linens. 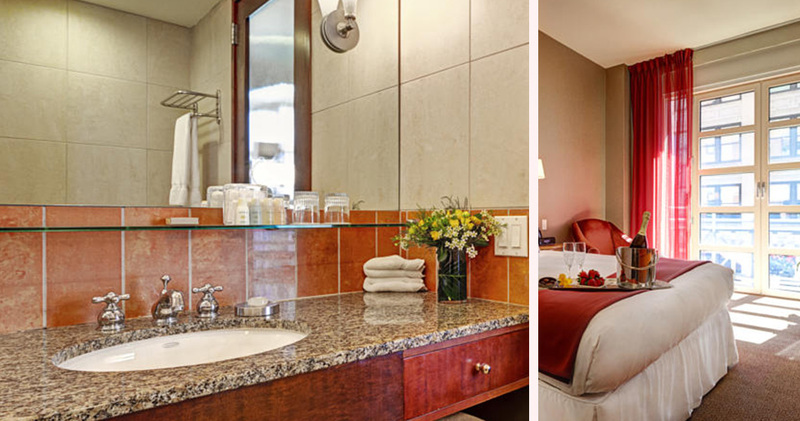 The bathrooms are spacious and elegant and include aromatherapy bath products. 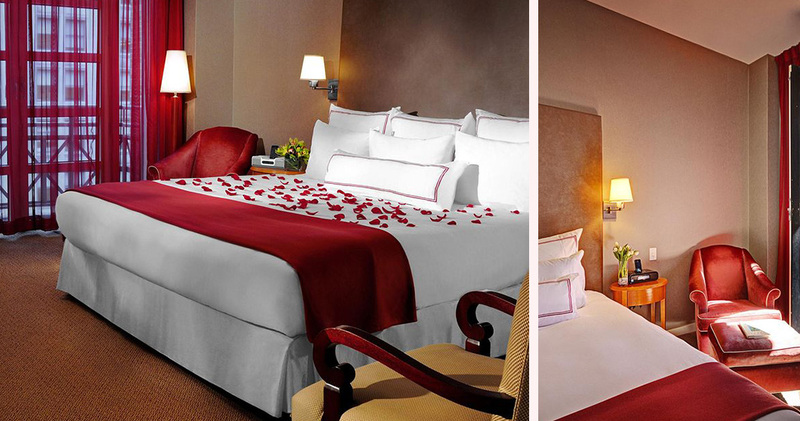 Upon request, the hotel also provides a SleepPhones System to aid a peaceful sleep. 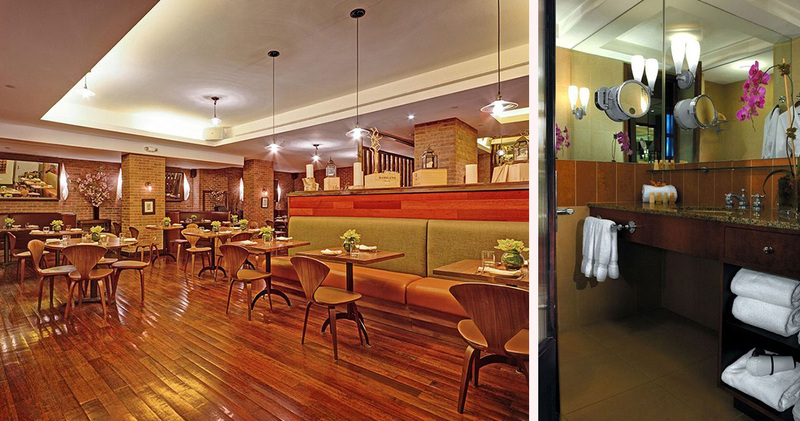 Bread & Tulips at Giraffe Hotel NYC is a cozy restaurant with a casual atmosphere. The restaurant serves rustic Italian cuisine made with seasonal, local ingredients. The restaurant’s signature pizza pies are prepared in a pizza oven imported from Modena. The hotel’s Rooftop Garden is open during the warm season, and its laid-back bar is the ideal spot to sip al fresco drinks while enjoying views of the city.